'Tis the season to eat sugar. If you haven't indulged in sweets before now, the temptation might be overwhelming. You might rationalize that fudge or sugar cookie by telling yourself, "It's only for the holidays...I'll get back on track after New Year's." When the New Year rolls around, you might wish you hadn't eaten all that junk. So, why not just find something that will keep you healthy and happy? After swearing off white sugar over two and half years ago, I have trained myself to look at the prevalence and abundance of sugary treats as opportunities to find creative alternatives. I've always been a fan of agave because it doesn't spike your blood sugar (being very low on the glycemic index). So, if you're hankering for something lightly sweet and crunchy without the headaches and tummy aches that tend to accompany the ingesting of too much processed treats, here's an easy recipe I recently made up. 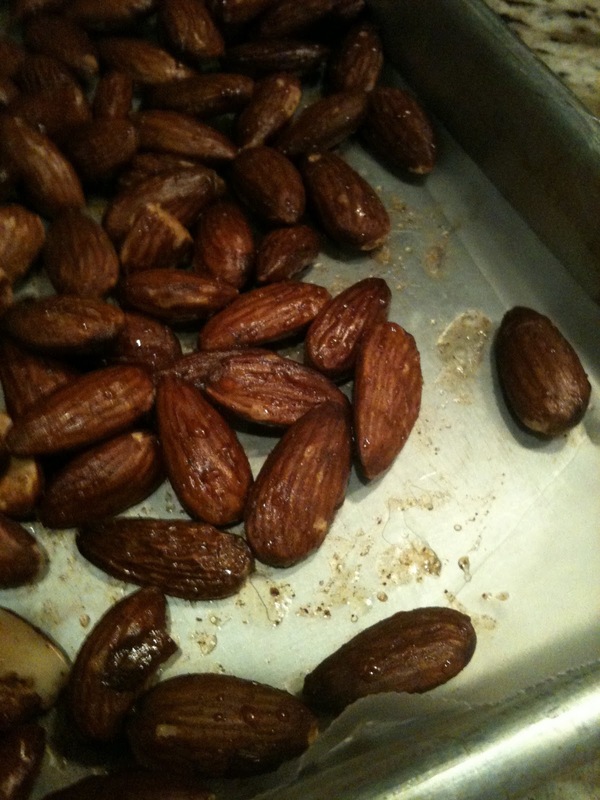 Preheat oven to 300 degrees F. Toss almonds with 1-2 Tablespoons of the olive oil in a large bowl. 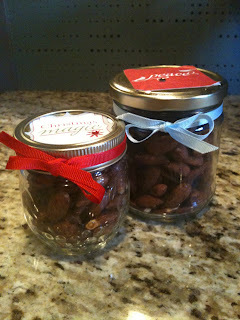 Sprinkle about 1 teaspoon cinnamon and a dash of cloves over mixture and stir. Drizzle 1/2 cup agave syrup over mixture and stir until well coated. Sprinkle with about 1-2 tsp (depending on how salty you like things) sea salt and mix well. Spread the almond mixture onto a wax paper lined cookie sheet. Place in oven for 15 minutes. Stir and return to the oven for another 15 minutes or until fragrant. Remove from the oven and let cool. Enjoy!